An urbanising world: triumph or tragedy? Prof. Herbert Girardet’s public lecture was based on his new book, Creating Regenerative Cities, published by Routledge in October 2014. Is an urbanising world a ‘triumph of the city’, or an environmental tragedy in the making? He argued for a fundamental conceptual shift in the way we organise our urban systems, and for thinking and acting beyond ‘sustainable development’. In Girardet’s view large modern cities have effectively tried to declare their independence from nature. We tend to see cities as centres of the universe rather than as appendages of ecosystems and climate systems. How can we assure that modern cities develop a regenerative relationship to the living world on whose health they ultimately depend? Girardet is a prolific author, speaker and consultant. His new book has been described by Huffington Post as one of the world’s three best green books of 2014. Professor Herbert Girardet works internationally as a consultant urban ecologist. He is a member of the Club of Rome and honorary member of the World Future Council. The sustainable development strategies for South Australia he developed as inaugural ‘Thinker in Residence’ in Adelaide in 2003 have been largely implemented. He is currently consultant to Bristol, European Green Capital 2015. 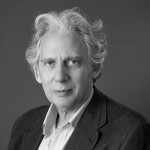 Herbert is a UN Global 500 Award recipient and an honorary fellow of the Royal Institute of British Architects. He is author and co-author of 50 TV documentaries and 13 books, most recently CITIES, PEOPLE, PLANET – Urban Development and Climate Change, Wiley, 2004 and 2008; A RENEWABLE WORLD – Energy, Ecology, Equality, Green Books, 2009; and CREATING REGENERTIVE CITIES, Routledge, October 2014. Ricky Burdett is Professor of Urban Studies at the London School of Economics and Political Science (LSE) and director of LSE Cities and the Urban Age programme. His research interests focus on the interactions between the physical and social worlds in the contemporary city and how urbanisation affects social and environmental sustainability. He was Chief Adviser on Architecture and Urbanism for the London 2012 Olympics and architectural adviser to the Mayor of London from 2001 to 2006.